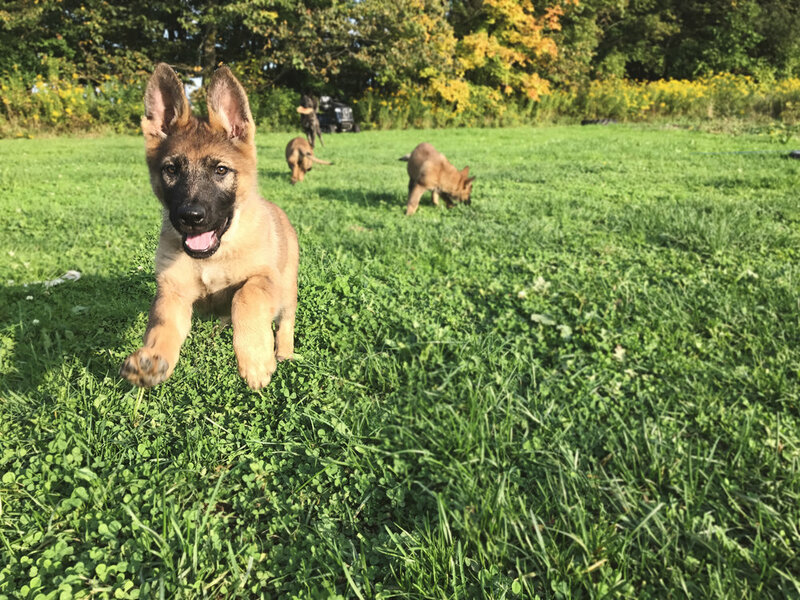 Located in upstate New York on 4 acres, Homefront Canine offers training on and off site. We specialize in training dogs in many different fields, from basic obedience to protection. We strive to teach the importance of engagement, consistency and exercise. We provide many training options in order to accommodate our clients. Our classes and private lessons help owners and handlers better understand how their dog thinks and why they do what they do. We evaluate our clients and their dogs to gain a better understanding of how we can assist in the training process. Our goal is to give every owner and handler the knowledge they need to continue building a positive and strong relationship with their dog beyond their time with us. Explore our website! See how you and your dog can benefit from Homefront Canine's services! "5 stars for this business!!!" "I would recommend this business a million times over." "Donnalyn has an amazing way of teaching and sharing her knowledge to help not only your dog, but also you, to succeed." "...a great dog trainer that produces quick results, and we had a ton of fun doing it. I highly recommend!"